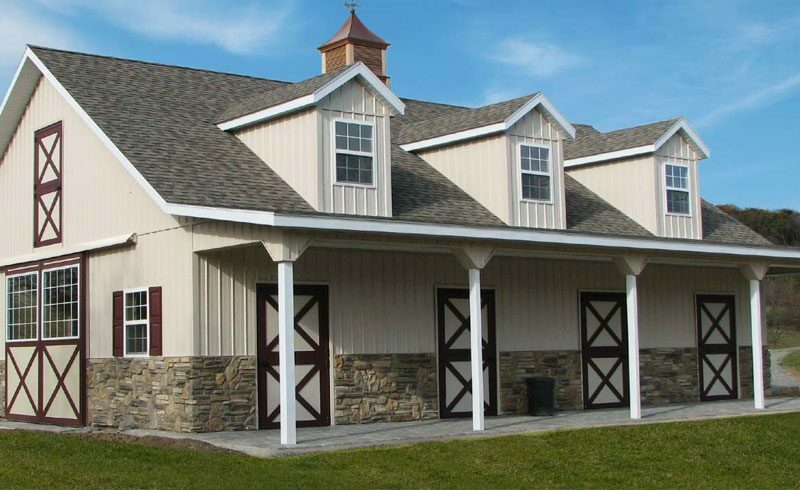 Whether you’re in need of a small horse barn for your backyard, or a more elaborate riding arena or horse stable, don’t settle for less than the high quality and value of Lancaster County post frame craftsmanship. 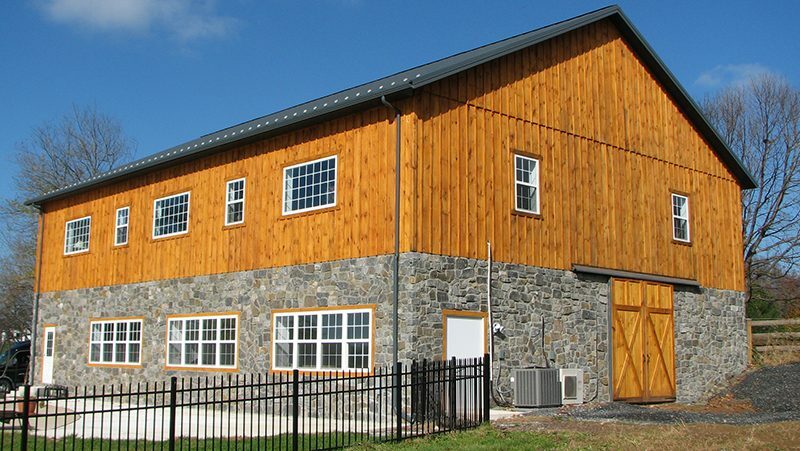 At Conestoga Buildings, we use time tested post frame construction techniques that easily adapt to a wide variety of needs. With over 20 years building horse barns you can put your trust in us to build a quality structure that your horses will be happy to call home. Best of all, with various truss designs and distinctive interior and exterior styles to choose from, you can rest assured your horse barn will accommodate all of your equestrian lifestyle needs. 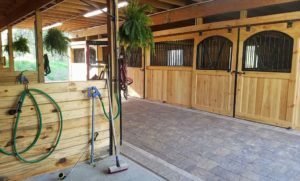 Our years of experience have taught us to consider all the important aspects of function and comfort when building your horse barn. From proper air flow circulation to natural lighting to adequate stall space and more, we integrate all of it into our design process. This ensures that your horse barn will be a space where your horses will be comfortable. 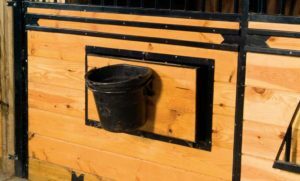 And because of the efficiency of our post frame construction process, you’ll have your horse barn built more quickly and at a lower cost than those that are stick built. At Conestoga, we’ve got options for you to choose from. Our Express Buildings division features low-cost, pre-engineered packages that are in stock and ready to be built very quickly. 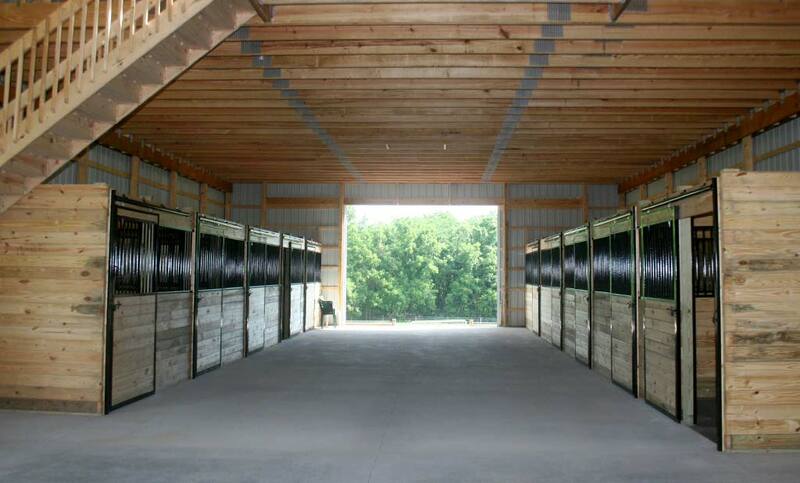 In addition, we can fully customize our post frame horse barns when you need a structure to meet unique requirements. For more complex projects, we even offer complete, turn-key design/build packages. To ensure your horse barn serves you and your horses as ideally as possible, we give you a variety of metal roofing and siding options, as well as choices in exterior styles. 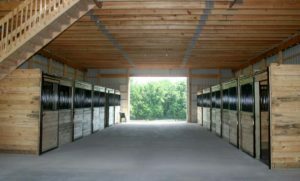 We also design your structure to provide proper storage space, feed rooms, tack rooms, groom stalls, and aisle ways—all of which we recognize are essential elements of a fully functional and effective equine building. From concept through completion, you’ll find our building process one that delivers efficiency and excellence in construction. 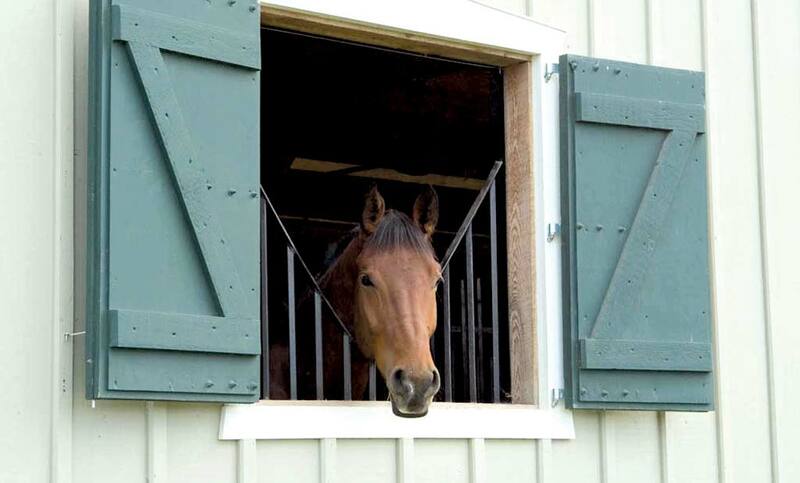 Our post frame horse barn designs are cost-effective solutions built with time- and cost-saving construction methods. We even offer financing options to give you flexibility and breathing room. 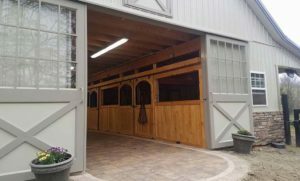 Looking for a post frame horse barn that will meet all of your needs and stand the test of time? Contact us today to request a quote! 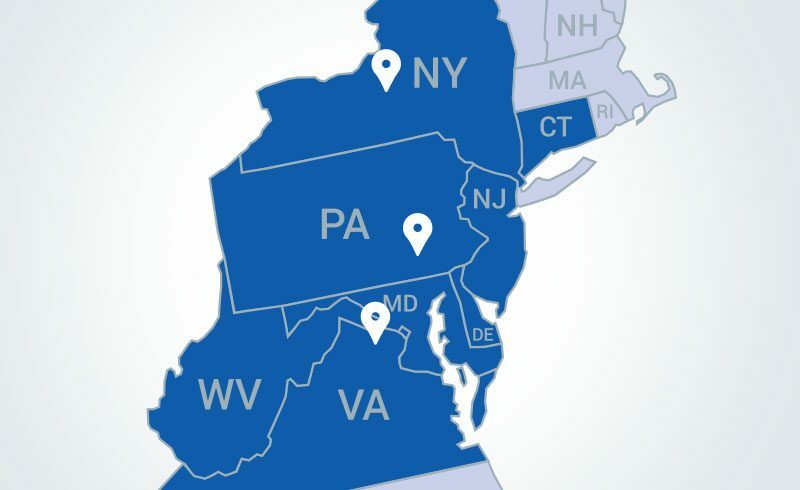 With offices in Marshall, VA, Lancaster County, PA, and Syracuse, NY, we’ve completed thousands of projects throughout the region. View our Look Book to see examples of successful projects near you, and contact us today to discuss your construction needs. At Conestoga Buildings, we pride ourselves on the quality of our work. 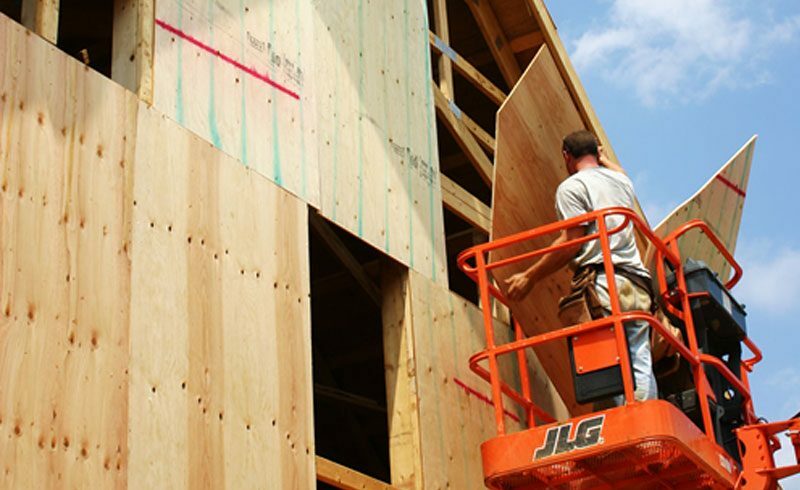 And on each of our projects we offer a “Zero Punchlist Guarantee.” This means that our professional project managers and experienced site foremen will make sure your building is perfect. From vehicle storage to workshops to finished second levels and more, a custom garage will add style and value to your home. 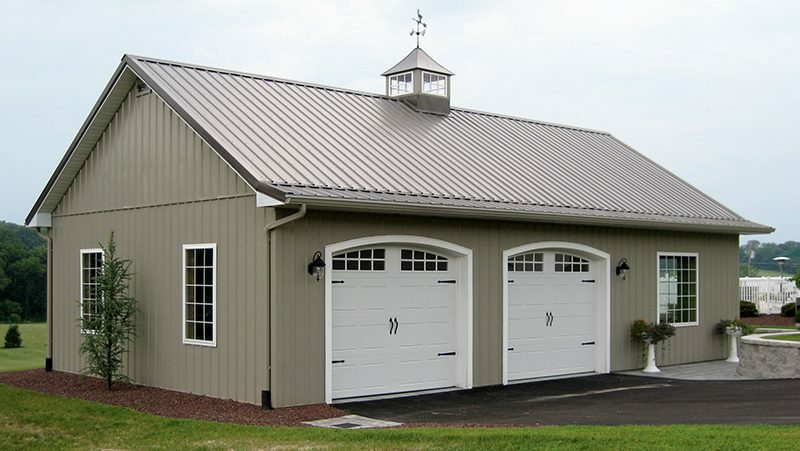 Thanks to decades of experience, our craftsmen build barns and other agricultural buildings quickly and precisely. Whether you need storage for equipment, animals, work space or something else, a custom barn could be the perfect solution. 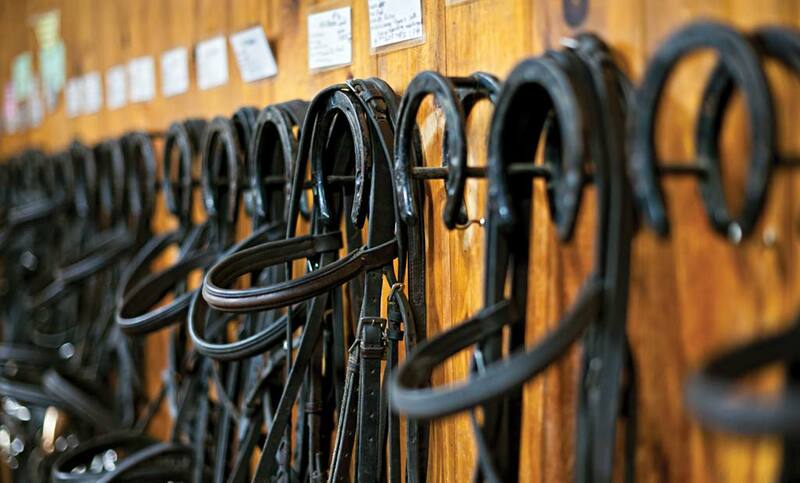 From stables to riding arenas and beyond, our equine experts know how to design and build comfortable, high-quality buildings.